Rhode Island: Donald M Grant, 1986. Bound in green cloth with gold lettering to spine, is first edition limited to 800 copies and is signed by both the author and illustrator to ffep on the reverse side. Is in fine condition, as is the dustwrapper. 191 pgs.. Signed by Author and Illustrator. First Edition. Hard Cover. Fine/Fine. 9 1/2" X 6". CA: Scream Press, 1987. Bound in red cloth with an embossed fingerprint to front panel, has black lettering to spine. Includes a foreword by Stephen King. Is in near fine condition, as is the dustjacket. 168 pgs.. First Edition. Hard Cover. Near Fine/Near Fine. 9 " X 6 ". Santa Cruz, CA: Scream Press, 1984. Bound in black cloth with silver lettering to spine, has skull decorated end-papers. Shows occasional overall rubbing to panels and spine. Dustjacket shows scant scuffing to top spine & rear bottom panel, and is in otherwise near-fine condition. 217 pgs.. First Edition. Hard Cover. VG++/Near Fine. 9 1/2" X 6 1/2". U.S.A.: Ace Hardcover, 2007. Bound in black boards, stamped in blood red . . . in green dust jacket. The first edition of this 356 pp. 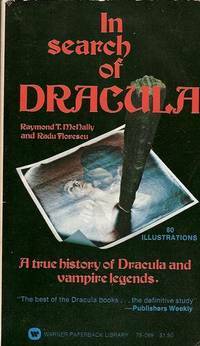 book on vampires. 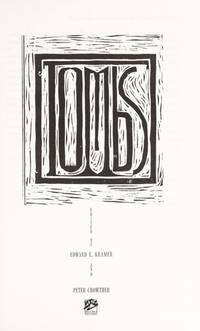 Signed on the title page by Ms. Harris and Bill Crider. . Signed by Author. First Edition. Hard Cover. Near Fine/Near Fine. NY: Alfred A. Knopf, 2003. Bound in white boards, stamped in gold in golden dust jacket. 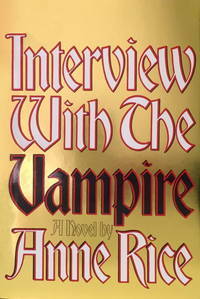 The first edition of this later book in the Vampire Chronicles -- signed by Ms. Rice on the title page. 306 pp.. Signed By Author. First Edition. Hard Cover. Fine/Fine. NY: Thomas Dunne Books, 2008. Bound in black boards, stamped in gold with vampire-ish dust jacket. Signed (and dated) by Ms. Barbeau on the title page. 325 pp. Tight, clean copy. . Signed by One Author. First Edition. Hard Cover. Near Fine/Near Fine. NY: Zebra/Pinnacle, 1994. The first four books (original paperback editions) in the series. 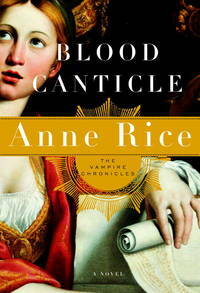 All first editions save for Blood Ties which is a second printing. All in decent condition -- hard to find all four in decent condition. . First Edition. Soft Cover. Very Good +/No Jacket. Trade Paperback. 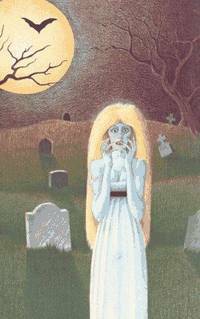 Calumet City, Illinois, U.S.A.: Moonstone, 2002. Bound in illlustrated, glossy wraps. A compendium of three graphic novels. Unpaginated, but approximately 100 pp. Scarce! . First Edition. Soft Cover. Fine/No Jacket. 8vo - over 7¾" - 9¾" tall. USA: Doubleday, 2005. Bound in gray and white boards. Stamped in silver. Stellar copy. Tightly bound. 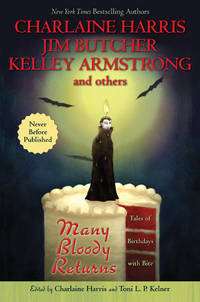 "Twenty-three of the most horrifying, hilarious, mind-blowing...tales you'll ever encounter." By the author of "The Fight Club". 404 pp.. First Edition. Hard Cover. Near Fine/Near Fine. NY: Knopf, 1971. Tight, clean copy of the first edition of the author's first book; a classic horror novel. Basis for the film of the same name. 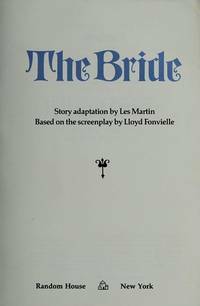 The a bright white dustjacket. Getting hard to find in this protected condition. 280 pp. . First Edition. Hard Cover. Near Fine/Near Fine. New York: Simon & Schuster, 1979. Publisher's remainder device to bottom edge and previous owner's tiny name to top edge of ffep. Overall, a crisp, clean (presumably unread copy of the first edition of the author's second book). 571pp.. First Edition. Hard Cover. Near Fine/Near Fine. NY: Avon, 1961. Tight, clean copy of this first edition of a Gothic tale. 192 pp. . First Edition. Soft Cover. Near Fine/No Jacket. Trade Paperback. New York: Random House, 1985. Bound in stiff wraps; based on the film starring Sting and Jennifer Beals; illustrated with more than 60 color photos from the movie; 93pp.. First Edition. Soft Cover. Near Fine/No Jacket. New York: Warner Paperback Library, 1973. Bound in wraps; illustrated in black & white; 247pp.. First Edition. Soft Cover. Near Fine/No Jacket. White Wolf, 1994. 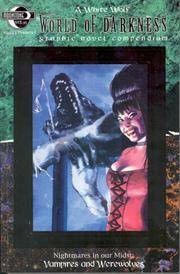 Short Stories; introduction by Forrest J. Ackerman; contributors include Ben Bova, Ian Watson, Neil Gaiman, Charles de Lint, Michael Moorcock, Storm Constantine, and many more; 346pp.. First Edition. Hard Cover. Near Fine/Near Fine. New York: Ballantine Books / Del Rey, 1996. Adapted from the gory 1960's bubble gum card set; also has a tipped-in exclusive trading card; 281pp.. First Edition. Hard Cover. Near Fine/Near Fine. New York: Signet, 1978. 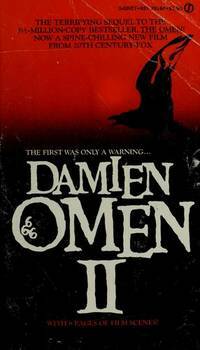 Sequel to 'The Omen'; First Signet mass-market paperback printing based on the movie starring William Holden and Lee Grant; with 8 pages of B&W scenes from the film; 199pp.. First Edition. Soft Cover. Near Fine/No Jacket. Illus. by Photo-Illustrated.